Known Enemies: Atticus Grammaticus Cattypuss Claw; Humans. Jimmy’s one of the shadiest characters around Littlton-on-sea. He leads his accomplices, Thug and Slasher, in a notorious magpie gang that has been caught stealing, bullying birds and causing general meow-schief. Their crimes then took a more sinister turn with a master plan to get revenge on their sworn enemies, the humans! Now reports indicate that Atticus Claw is on their tail again as they plot another dastardly crime. But what is the plan? Will they succeed? No one knows. 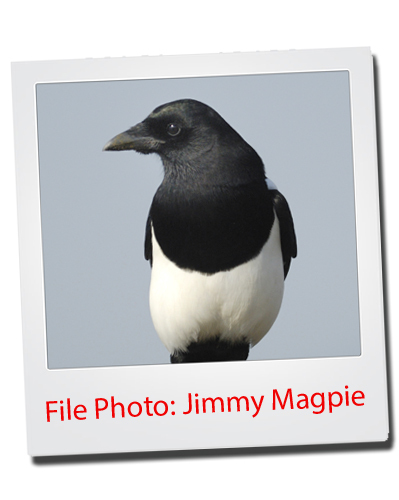 But right now rumours lead us to believe the Magpies hate Atticus even more than they hate humans and plan to use his tail as a loo brush!